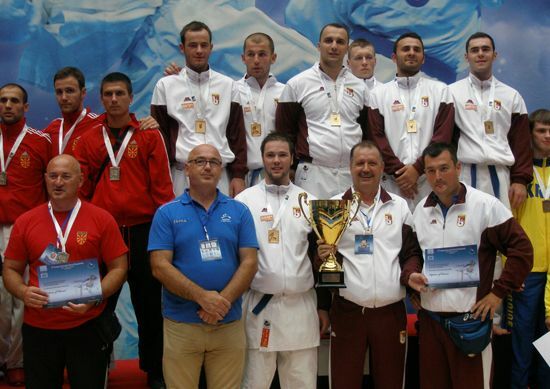 The 5th European Universities Karate Championship was held between July 21 and 24, 2011 in Sarajevo, Bosnia and Herzegovina, with competitions and official ceremonies held at the Sportshall of the 5th/Sports school in Dobrinja in Sarajevo. 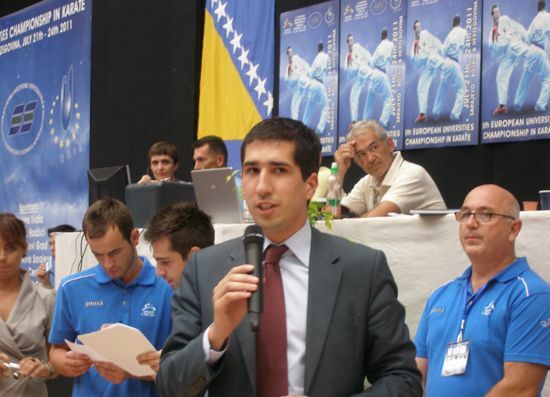 The opening ceremony was attended by the Minister of Culture and Sport Mr Salmir Kaplan; Minister of Education Mr Damir Mašić; Sarajevo councilman and BIH Sports Federation President Mr Branislav Crnogorac; President of University Sports Federation of Bosnia and Herzegovina Mr Omer Stambolić; EUSA Executive Committee Member Mr Kemal Tamer, EUSA Technical Delegate Mr Rajko Vujošević and other sports representatives and guests. The championship, which was officially opened by the Minister of Culture and Sport Mr Salmir Kaplan, was well-attended also by the visitors and fans throughout the event. 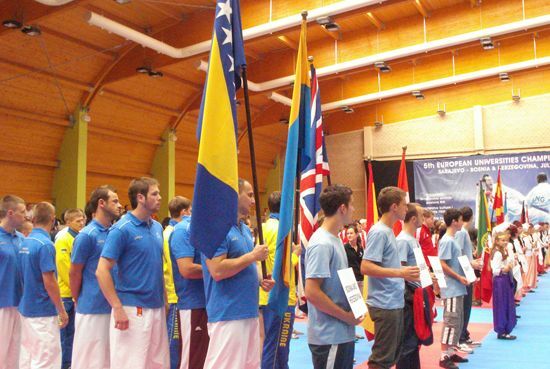 78 university teams took part in the men's and women's competitions in four categories (Kata and Kumite - Men and Women); with competitors in individual events as well, coming from 23 European countries. More information about the championship can be found at the official website of the event www.5-eukc.com.ba. 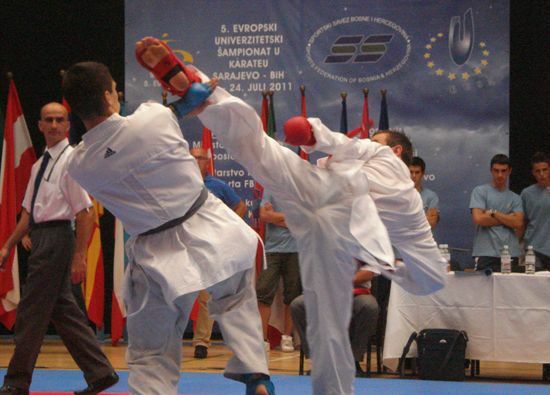 The next EUC Karate will be held in 2013 in Budapest, Hungary.